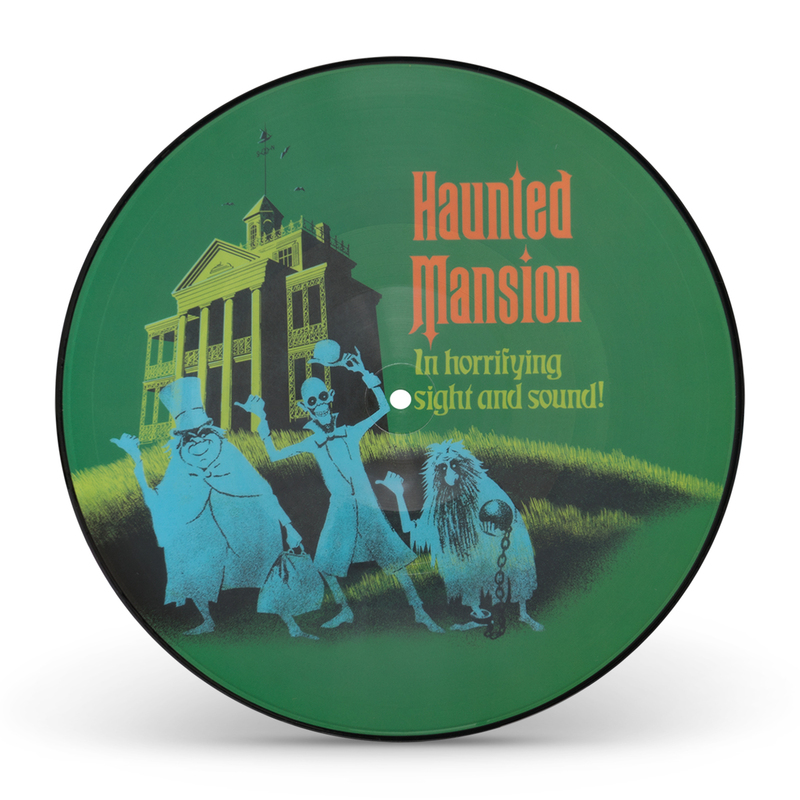 This frightfully collectible picture disc vinyl features the Disneyland attraction poster art designed by Ken Chapman and Marc Davis in 1969. Grim, Grinning Ghosts come out to socialize and enjoy the music from the attraction including The Haunted Mansion, Ghostly Music Box, The Graveyard Band and more! 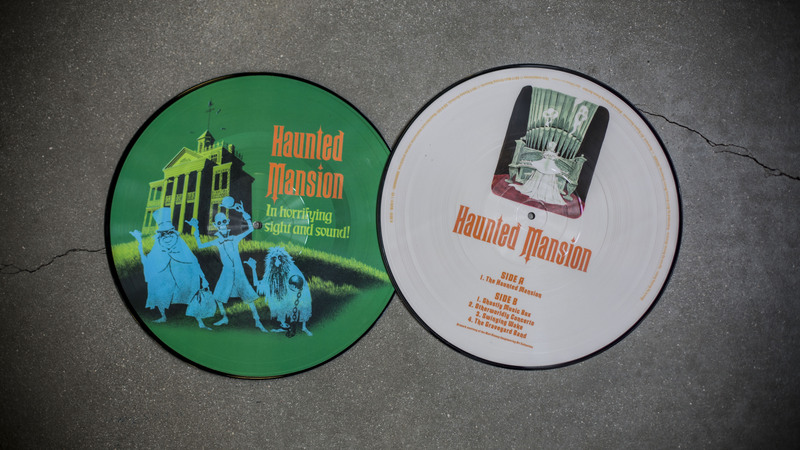 This is a fantastic picture disc. I bought it as a gift for my niece. I know she will love it! I might have to play it once for myself first. Haha! Terrific reminder of the ride itself, and the grandkids want me to play it on Halloween. (And they enjoyed reliving the ride as well). 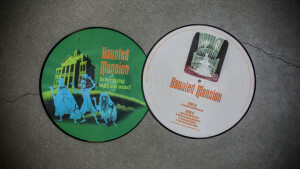 For a picture disc the sound quality was really good with great artwork on front and back. My kids and I had a great time listening to it together. The entire album was so much fun! Thanks! I Love this Vinyl! 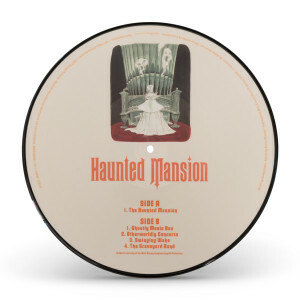 Sounds amazing for a picture disc! Truly Classic Haunted Tunes! Great record with nice art on the disc. Only negative is that it doesn’t have the full 7 minute Grim Grinning Ghosts but that’d be impossible to fit on one disc. This is a really cool double-sided picture disc with all the classic Haunted Mansion soundtracks. Great purchase right before Halloween.